How do you handle the challenges of going through life changes? Do you white knuckle in stress, bury yourself in unhealthy habits, or ruminate on fearful projections of the future? Marriage, divorce, getting hired, moving, loss, financial shifts, getting laid off, having children, having them grow up and move, starting a business, losing a loved one, and breaking up are just some of the changes life commonly involves. Handling major life rearrangements can be incredibly stressful, even when it’s something we see as positive or we chose to initiate it. Change shoves us outside of our comfort zones and into uncertainty. It forces us to find new ways of living and often triggers our deepest fears–just when we need them the least! 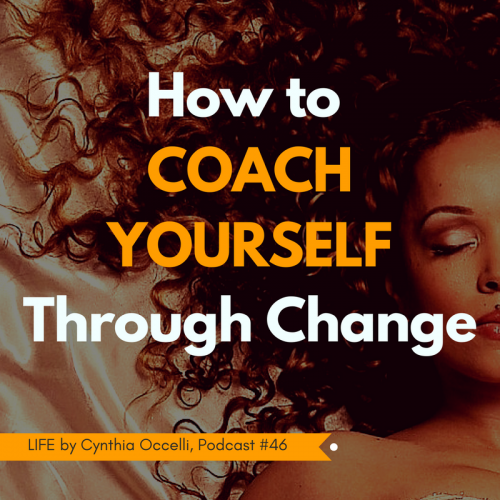 In this episode, I’ll teach you 13 strategies to help you coach yourself through challenging life shifts. Change doesn’t have to be a brutal experience. In fact, it can be a path to a much healthier, happier, and meaningful life. Listen and learn how to transform fear into flowing change. Wanna work with me? Get notified the next time I open up to new people.